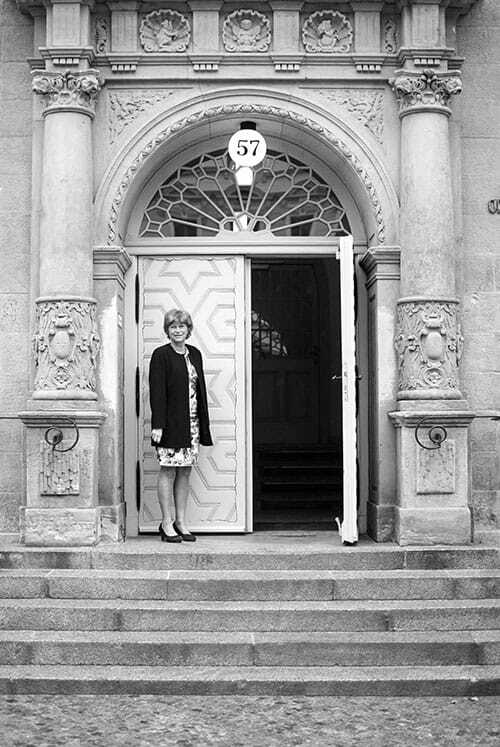 „Doggedly hanging on to a great idea like a terrier on a trouser leg"
Barbara Jaeschke has transformed the old Oderberger Municipal Baths into a flourishing language school and a wonderful hotel. arbara Jaeschke loves marathons. New York, Paris, Barcelona – a new city every year. But she does the Berlin Marathon every year. Endurance all the way to the finishing line. She seems to achieve everything she sets out to do. Newly (2016) opened “Hotel Oderberger” is evidence of that. The Oderberger Municipal Baths were opened in 1902 as public swimming baths. Since most of the barrack apartments in Prenzlauer Berg had no bathrooms, residents performed their ablutions in the white-tiled cubicles of the public swimming baths. When Barbara Jaeschke moved in here along with her language school, she wanted to retain as much of the interior décor as possible. The public baths’ soap holders and wall tiles were retained in the refurbished seminar rooms. The old doors to the washing cubicles are now bathroom doors in the hotel rooms. “Hotel Oderberger” is part of the GLS Language School campus. Jaeschke’s concept of combining a starred hotel with public bathing facilities and seminar rooms was a risky balancing act in financial terms. It’s fortunate that an innovative lifting floor technology helps her to transform the swimming pool into a majestic event venue. Conferences, corporate presentations or even weddings now take place where people otherwise go swimming. She complies with her parents’ wish that she might consider helping out as a teacher during the long summer holidays at her parents’ country home in southern Lower Saxony. Barbara Jaeschke soon begins to organise mini language-learning trips. Her husband, Dr. Hans-Dieter Jaeschke, is an architect. When they relocate with their family from Göttingen to Berlin, the now-established “Göttingen Language School” is renamed the “Global Language School”. Barbara Jaeschke views Berlin as cosmopolitan and tolerant. The ideal city for a language school. Jaeschke aims to use the GLS to create an environment where international contacts can be made and maintained. Jaeschke views education as contributing to tolerance: “Here we get people talking to each other. We ensure that they get to know and accept contrary opinions.” Barbara Jaeschke regards languages as a medium of intercultural understanding. She advises young start-up entrepreneurs to give plenty of thought to financing at the beginning of their journeys. She herself started dealing with the issue of financial resources far too late. Setbacks could have been avoided, But the most important thing, she reemphasises, is to believe in yourself and your idea and to steadfastly pursue it by displaying doggedness and explicit self-confidence. 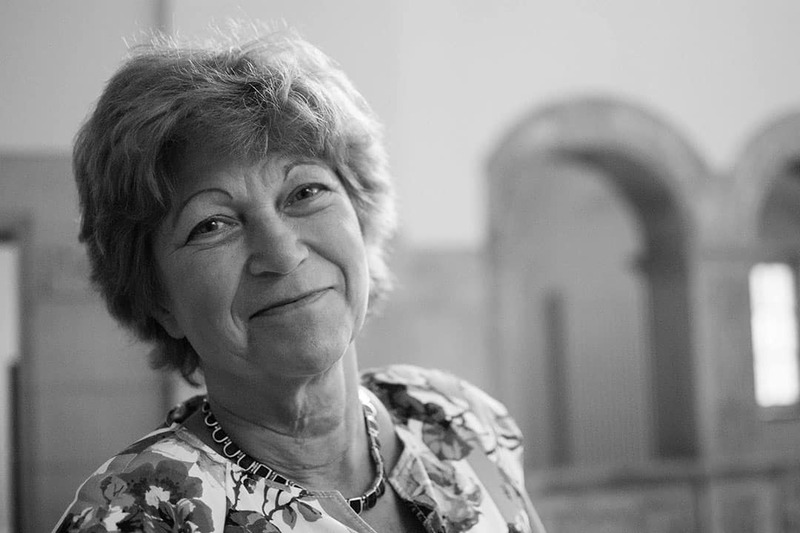 Barbara Jaeschke’s aspiration is to provide premium-quality language training in a pleasant ambience. But there is still a lot to do – the hotel has been completed, the school is growing, there is again a lack of classrooms. 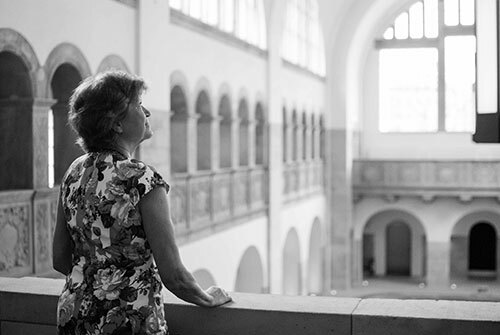 Barbara Jaeschke wants to erect buildings on the campus in Prenzlauer Berg that are positioned closer together. A preliminary planning enquiry has already been approved. Any other plans? Barbara Jaeschke is not contemplating retiring anytime soon. The plan is that her children start managing the company at some point, they already work in the family business. And then? Perhaps another hotel, but in a warm country. One idea is Malta: “We always require accommodation there. Another hotel there would be a really exciting project for me.